The Hamill Family Play Zoo at Brookfield Zoo is turning 15 years old on June 15, 2016 and they are having a big birthday party featuring live music and entertainment, craft activities, multiple experts who will teach kids about their jobs, a plush animal clinic that your children can bring their plush pals to for some tender loving care, a parade, and more! Wednesday, June 15: The Big Birthday Party! All Day at the Hamill Family Play Zoo from 9:30 a.m. to 5:00 p.m.
At Brookfield Zoo’s Hamill Family Play Zoo, kids can build animal homes and then pretend to be the animals. There are also special activities from 10am-4pm on the 15th of the month, which will continue through December 15. Guests have opportunities to meet zoo professionals, participate in scavenger hunts, learn about the animals during Zoo Chats, get creative with art activities, play a part in animal training or husbandry sessions, and join in fun-filled parades. During the Hamill Family Play Zoo’s 15th anniversary celebrations, which take place on the 15th of every month during 2016, children can have up-close experiences with some of the animals that reside in the exhibit. The Nature Swap, which resembles a children’s bedroom, is filled with hundreds of treasures, from small rocks and seashells to antlers and shark jaws. Through the program, youngsters ages 5 and older bring in items they have found while exploring the outdoors or even bring in journal entries, photos or drawings and trade them for items found in the Nature Swap’s collection. The Greenhouse gives children and their families the opportunity to plant seeds, make cuttings, design planters, and help maintain the exhibit’s plants. 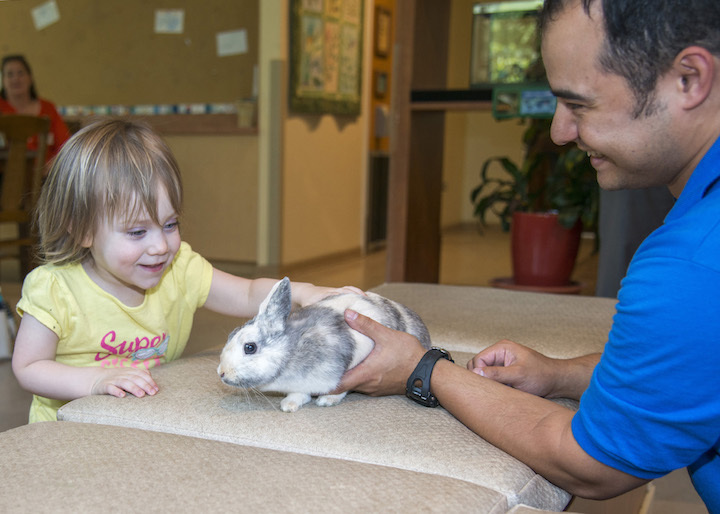 Visitors have the opportunity to interact, touch and ask questions about animals. Face painting is a very popular activity at Hamill Family Play Zoo. Since the exhibits opening in 2015, visiting children, and even many adults, have used more than 35,000 crayons to create a variety of animal faces on themselves. Face Painting–since the opening, visiting children, and even many adults, have used more than 35,000 crayons to create a variety of animal faces on themselves. There have been 630 ladybug releases resulting in around 2,835,000 ladybugs taking flight. 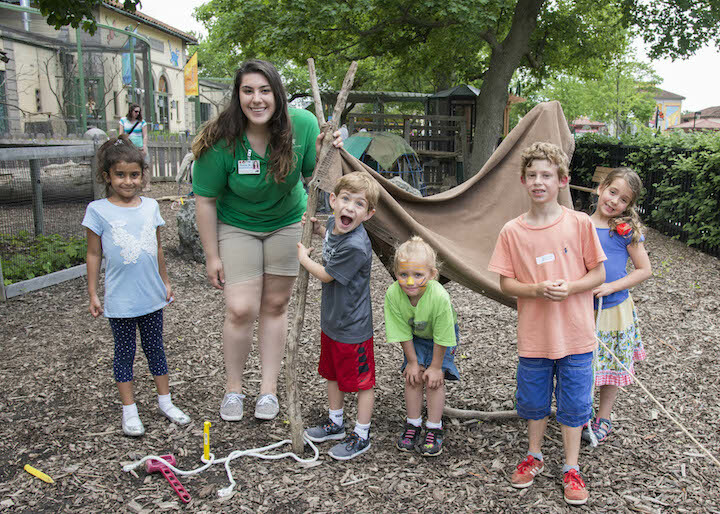 Approximately 1,785 stories have been told by Play Zoo staff. More than 225 gallons of glue has been used for art projects. More than 450 gallons of washable tempera paint has been used by children to create works of art. Children have wrapped more than 121,752 feet of ace bandages on plush animals in the exhibit’s Animal Hospital. More than 90,000 toilet paper tubes have been used for art projects—that’s more than 68 miles of tubes. Children have made more than 18,700 bird feeders. 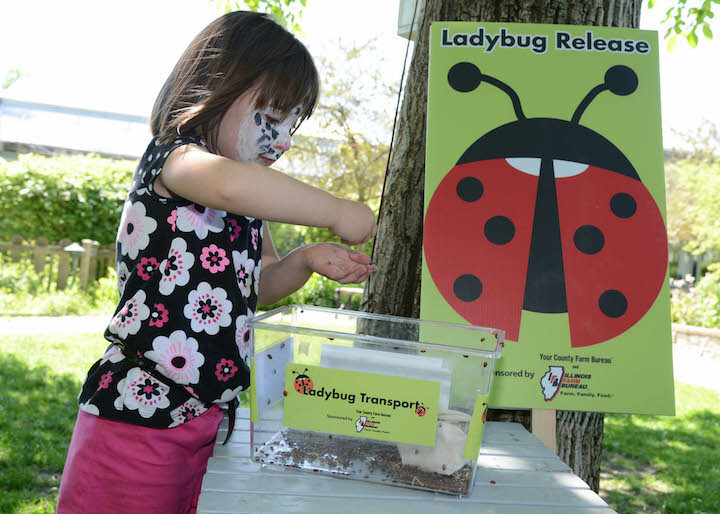 During the summer, children can participate in lady bug releases at Brookfield Zoo’s Hamill Family Play Zoo. Since the exhibit opened in 2015, there have been 630 ladybug releases resulting in around 2,835,000 ladybugs taking flight. Hamill Family Play Zoo has also won some incredible awards throughout the past 15 years. We are so fortunate to live a car ride away from Brookfield Zoo! Be the first to comment on "Hamill Family Play Zoo 15 Year Birthday Celebration"